THE Armed Forces of the Philippines (AFP) will have missiles in its arsenal within President Benigno Aquino III's term of office, a senator and former soldier said Wednesday. In his State of the Nation Address (Sona) on Monday, Aquino promised capability upgrades and modern equipment for the Armed Forces of the Philippines (AFP). 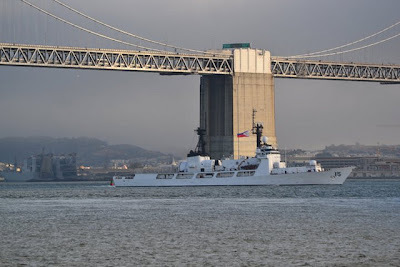 He said the BRP Gregorio Del Pilar, a former US Coast Guard cutter, may just be the first of "more vessels in the future — these, in addition to helicopters and patrol craft." "If we mean decent armed forces that can maintain peace, that can be done within the next few years under President Aquino," Trillanes said. "What we expect is that, finally, within his term, that we finally get missile technology. We're really lagging behind (other militaries)," he said, adding the AFP should also eventually buy submarines. He said Filipino soldiers are trained well but lack equipment. "We send officer to train abroad, so they have their skills upgraded. We are on standard as far as training and indoctrination is concerned," he said. Trillanes, a former Navy lieutenant, said he has already seen some of the President's efforts to reform the AFP. Aquino has put up housing projects for soldiers. Their combat pay has also been raised to P500 a month from P240 a month. "He exceeded the expectations in this regard," Trillanes said. Trillanes was jailed for more than seven years for his participation in mutinies against the administration of then President Gloria Macapagal-Arroyo. He, along with more than 300 soldiers, was granted amnesty by the Aquino administration. BEIJING - CHINA needs at least three aircraft carriers to defend its interests, a general said, days after the state media broadcast footage of its first carrier in a rare public mention of the project. 'If we consider our neighbours, India will have three aircraft carriers by 2014 and Japan will have three carriers by 2014,' General Luo Yuan, a senior researcher with the Academy of Military Sciences, was quoted as saying by Beijing News. 'So I think the number (for China) should not be less than three so we can defend our rights and our maritime interests effectively.' His comments, published on Friday, came after China sought to downplay the capability of its first aircraft carrier, saying on Wednesday the vessel would be used for training and 'research'. Beijing believes that the three Japanese carriers it referred to, built for helicopter operations, could eventually be converted into full aircraft carriers. China recently confirmed it was revamping an old Soviet ship to be its first carrier, a project that has added to regional worries over the country's fast military expansion and growing assertiveness on territorial issues. 'We are currently re-fitting the body of an old aircraft carrier, and will use it for scientific research, experiments and training,' defence ministry spokesman Geng Yansheng told a news briefing. 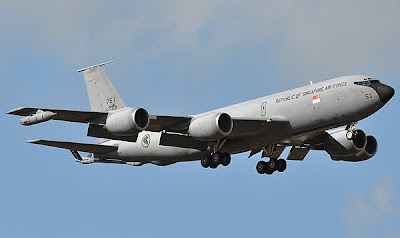 In Asia, Singapore is actively working toward finding replacements for its four KC-135Rs. 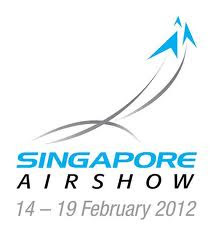 Industry executives say Singapore’s ministry of defense has been speaking to aircraft manufacturers about this. One industry executive says a tender is expected to be issued next year, with a decision likely in early 2013. An important requirement is that the new tankers will assist the Singapore air force’s Boeing F-15SGs to fly between Singapore and its overseas detachment at Mountain Home AFB, Idaho, industry executives say. Singapore’s air force also has an overseas detachment of Lockheed Martin F-16C/Ds at Luke AFB, Ariz.
Close ties between the Singapore and U.S. air forces would ordinarily mean Boeing would be the frontrunner to win the Singapore contract, but this time around the Airbus Military A330MRTT is the favorite, according to industry executives outside of Airbus Military. Besides Airbus Military, another possible contender is Israel Aerospace Industries (IAI). Singapore and Israel have close defense ties and IAI’s Bedek Aviation has a program that converts Boeing 767s to tankers. There is also a competition in India for six tankers, with the A330MRTT and the Ilyushin Il-78 tanker shortlisted, as Boeing has already decided to rule itself out of that competition. 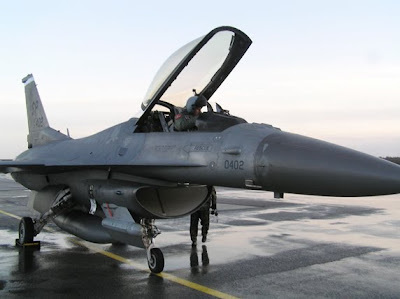 Jurnas.com RENCANA hibah pesawat F-16 dari Amerika akan segera direalisasikan. Menurut Kepala Staf Angkatan Udara (KSAU) Marsekal TNI Imam Sufaat pesawat hibah tersebut maksimal tiba di Indonesia pada Agustus 2012. "Saat ini sedang menunggu keputusan Kongres Amerika. Dananya sudah dialokasikan, paling telat Agustus tahun depan bisa terealisasi," kata KSAU usai mengikuti upacara wisuda purnawira perwira tinggi (pati) TNI AU di Gedung Andrawina Akademi Angkatan Udara (AAU) di Yogyakarta, Jumat (29/7). Dikatakan KSAU, hibah 24 unit pesawat tempur F-16 ini akan melengkapi pesawat F-16 yang telah dimiliki TNI AU, sehingga totalnya menjadi 34. KSAU menjelaskan, hibah pesawat F-16 ini sudah melalui pengkajian TNI AU. Menurutnya, pengadaan melalui hibah ini lebih efisien daripada pembelian pesawat baru. "Kalau membeli pesawat baru harganya sampai US$1.600 juta untuk 16 unit. Sedangkan pengadaan melalui hibah ini maksimum hanya US$600 juta," katanya. Ditambahkan Imam, pesawat-pesawat ini akan di-upgrade untuk meningkatkan kemampuannya. "Bloknya dinaikkan dari 25 menjadi 32," kata Imam. Sebelumnya, hibah pesawat F-16 ini sempat menjadi perdebatan karena dikawatirkan akan sulit mendapatkan suku cadangnya. Namun begitu, TNI meyakinkan tidak akan terjadi kesulitan pengadaan suku cadang. The Navy's Newest $100 Million Amphibious Ship has been Tagged "HMAS Lemon Scented"
THE navy's newest $100 million amphibious ship has been tagged "HMAS Lemon Scented" after a major inspection earlier this year uncovered a raft of serious technical faults in the second-hand British vessel. The problems include overheating of the propulsion motors and transformers and faulty air handling units that "could cause respiratory problems among passengers and crew - in particular legionnaires disease", the chief engineer officer's report says. Overheating means that the ship cannot maintain full speed and the lack of natural ventilation means she can't operate at higher speeds "especially in higher sea temperature conditions". 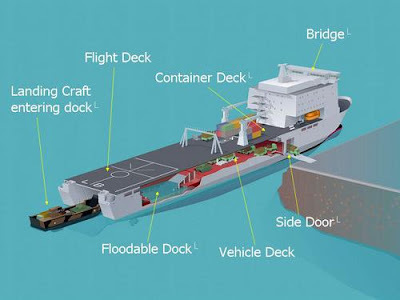 The ship, RFA Largs Bay, was designed to operate in cooler climates and many of the faults identified in the report are deep-seated "design issues". 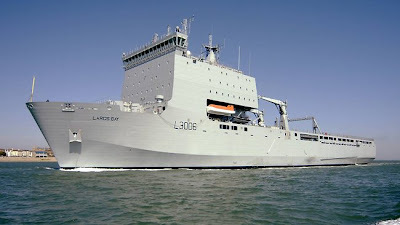 The Gillard government purchased the mothballed Royal Fleet Auxiliary ship from the British government, claiming it was a major coup, but the official chief engineer's report casts serious doubts over those claims. He listed six as critical: failure of the main engine room shut-down vents; fragility of the chilled water plants; suspect cargo lift systems; fragility of the vacuum toilet system; steering pump fragility; and lack of chemical treatment in the chilled and boiler water systems. First full-rate production order, for USA and Australia. The AN/ALE-55 (V)is a related system made by BAE, consisting of an electronic frequency converter (EFC) and a fiber optic towed decoy (FOTD). 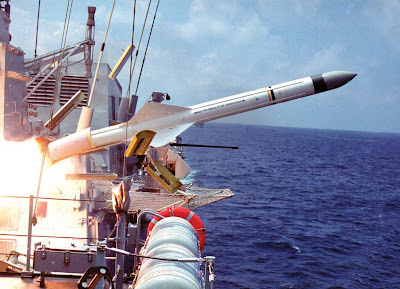 It works together with an aircraft’s onboard electronic warfare (EW) equipment, throughout the entire ECM cycle of Suppression (harder to acquire or track the towing plane), Deception (active jamming techniques aimed at enemy launchers); and Seduction (active jamming aimed at the missile, and being a decoying target itself if all else fails). 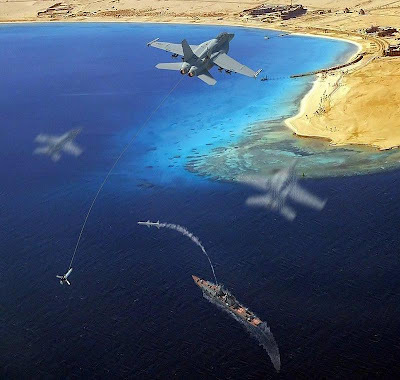 The ALE-55 was introduced after Raytheon’s similar ALE-50 towed decoy, but it is carving out a parallel market share, and has been ordered by the USA and Australia to equip F/A-18 Hornet & Super Hornet aircraft. PHNOM PENH, (Bernama) -- Malaysia and Cambodia plan to forge cooperation in producing military assets, said Defence Minister Datuk Seri Dr Ahmad Zahid Hamidi. He said the details would be worked out by the top brass of the militaries of the two countries. "As Cambodia has a peacekeeping force, several military equipment can be produced together initially. 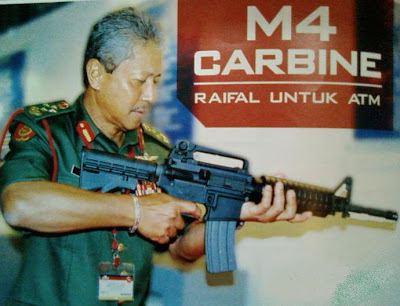 For example, when Malaysia makes the change to replace the M16 assault rifle to the M4 version, Malaysia is also given permission to share the intellectual rights for the assembly of the M4 with several other countries. "Cambodia welcomes Malaysia's proposal to cooperate in joint production of military assets and maybe also with some other countries towards realising regional collaboration in the defence industry," he told Malaysian journalists after calling on Cambodia's deputy prime minister and defence minister Tea Banh at the latter's office here Thursday. He said stressed that the cooperation was merely to advance the defence industry regionally and was not aimed at forming any military blocs. Ahmad Zahid, who arrived here Wednesday for a three-day visit, paid a courtesy call on Cambodian Prime Minister Hun Sen following the meeting with Tea Banh. 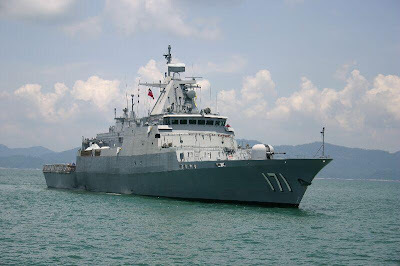 KUALA LUMPUR, (Bernama) -- The Malaysian Maritime Enforcement Agency (MMEA) will take over 91 vessels from the Marine Operations Force (MOF) and Royal Malaysian Customs Department on Aug 15, MMEA director-general Maritime Admiral Datuk Mohd Amdan Kurish said. Sixty of the vessels are from the MOF. The taking over of the two agencies' assets is following the move to make MMEA the single maritime enforcement agency in the country. "The vessels will undergo maintenance at their respective agencies prior to being handed over to the MMEA," he told reporters after opening the International Search and Rescue Conference and Exhibition here today. The taking over, however, will not include 23 jetties which will continue to be used by other agencies. Mohd Amdan said it would be up to the personnel of the two agencies to decide whether to join the MMEA or remain with their existing organisations. "There aren't many personnel from the two agencies joining us; but we are ready to undertake the task of enforcing maritime laws within the country's 614,000 sq km waters," he said. Enforcement of about 100 maritime laws are previously handled by eight agencies namely the navy, air force, marine police, customs, Marine Department, Fisheries Department, Environment Department and Immigration Department. On the three-day conference, Mohd Amdan said, it was to exchange information on security matters in the country's water with officials from Brunei, Singapore, Cambodia, India, Indonesia and New Zealand. REPUBLIKA.CO.ID, JAKARTA – Kementerian Pertahanan (Kemhan) terus berupaya meningkatkan kemampuan alat utama sistem persenjataan (alutsista) TNI. Menteri Pertahanan (Menhan) Purnomo Yusgiantoro menargetkan pada 2024 kekuatan pokok minimum (essensial minimum forces) terpenuhi. "Lima tahun ini kita akan bikin beberapa kapal selam, tapi tak bisa disebutkan jumlahnya," ujarnya dalam pertemuan dengan pimpinan redaksi media massa di Kemhan, Rabu (27/7) malam. Saat ini, Indonesia baru memiliki dua kapal selam tipe U-209. Sebelumnya tersiar kabar pembangunan kapal selam mencapai empat unit. Untuk pembuatan kapal selam, saat ini baru 40 sampai 50 persen kandungan lokal yang mampu dibuat PT PAL. Seiring berjalannya waktu dengan proses alih teknologi, pihaknya menjamin lima tahun lagi anak negeri mampu membuat kapal sendiri. Dijelaskan Purnomo, kekuatan perairan wilayah Indonesia barat dan timur terus diperkuat. Untuk di barat, pihaknya menetapkan setiap tahun terjadi penambahan, ada 10 kapal cepat rudal (KCR) selama 13 tahun ke depan. Kapal jenis ini berfungsi sebagai kapal patroli untuk menjaga keamanan wilayah laut dari perompak dan penyusup. Kapal sepanjang 70 meter tersebut, kata dia, bisa dilengkapi rudal dan komponen persenjataan lain. "Kapal jenis ini cocok dengan lautan di barat yang tidak dalam dan tenang. 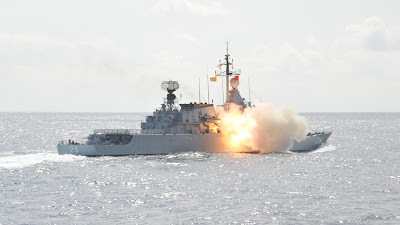 "Untuk memperkuat wilayah Indonesia timur, pihaknya memesan kepada PT PAL untuk membangun beberapa kapal fregat. Selain lincah, kapal berjenis perusak tersebut sesuai untuk digunakan patroli di perairan yang dikenal dalam dan berombak besar tersebut. Khusus matra udara, Purnomo menyatakan tahun ini akan menambah tiga radar untuk mengkover wilayah udara yang bolong. Rencananya dipasang di Timika, Kepulauan Aru, dan wilayah Maluku. Pemasangan radar itu untuk menambah daya deteksi kekuatan radar yang telah beroperasi di Biak dan Kupang. VIVAnews - Indonesia segera membuat dua kapal selam untuk memperkuat alat utama sistem senjata (alutsista). Dua kapal selam itu, direncanakan mulai dibuat awal 2012 mendatang. "Awal 2012 sudah bisa mulai dibuat. Kalau tidak keduanya ya dibuat satu dulu," kata Kepala Pusat Komuniukasi Kementerian Pertahanan, Brigjen Hartind Asrin kepada VIVAnews.com, Kamis 28 Juli 2011. Kapal selam ini, kata dia, akan dilengkapi dengan teknologi terbaru. Namun, dia mengaku tak mengetahui secara pasti teknologi yang akan dipasang di dua kapal selam ini nantinya. "Cari saja teknologi kapal selam paling mutakhir. Itu yang akan kita pasang nanti," kata dia. Menurut dia, dua kapal itu akan dibangun dengan sistem joint production bersama negara lain. Satu kapal direncanakan dibuat di negara rekanan. Satu lagi dibuat di dalam negeri. "Di dalam negeri akan kita buat di PT PAL, Surabaya," kata dia. Saat ini, lanjut dia, Indonesia sudah menjajaki sejumlah negara untuk membuat dua kapal selam ini. Proposal pembuatan kapal selam pun sudah di sebar ke beberapa negara yang akan dijadikan rekanan. Namun, dia tak mau menyebut ke negara mana saja proposal itu diberikan. "Tak boleh kita sebutkan, itu bagian dari rahasia," kata dia. "Yang jelas tim untuk itu sudah kita kirim ke beberapa negara, nanti saja, sabar. Setelah semua fix, baru kita buka." Hartind mengatakan, kepastian negara calon rekanan itu kemungkinan baru bisa diketahui akhir tahun ini. "Setelah lebaran mungkin sudah bisa diketahui," kata dia. Hartind pun tak mau menyebutkan berapa anggaran dana yang disediakan untuk pembuatan dua kapal selam ini. Menurut dia, anggaran dana itu tergantung dari negara rekanan pembuatan kapal. "Kita pilih negara yang menawarkan harga paling rendah dengan kualitas yang bagus," kata dia. WILLIAMSTOWN, Australia - The Land-Based Test Site (LBTS) at BAE Systems in Williamstown for the Landing Helicopter Dock (LHD) project is now complete. BAE Systems, Saab and L-3 Communications (L-3) completed the installation in July 2011 as a key milestone in the development of the integrated combat and communications systems. Director BAE Systems Maritime Business Unit Harry Bradford said testing in the LBTS will commence immediately with the final testing concluding next year. “The major activity of the test site is risk mitigation of equipment integration prior to installation on the ship. The equipment will undergo significant testing to ensure all systems, including those supplied by several sensor manufacturers, are properly integrated and working effectively. “The Line Replaceable Units (LRUs) installed in the Land-Based Test Site are to be installed on the second LHD, with the first ship receiving new equipment. “While not fully operational, we are seeing real benefits from the test site as the team has discovered some issues that will require system modification, and these are much less costly when uncovered early in the program,” he said. L-3 has supplied a large and complex communications suite, while Saab has installed the Combat Direction System which will provide the core command and control system for the ship. The CDS is based on a derivative of Saab's latest 9LV Mk 3E Combat Management System implemented on the ANZAC-class frigates, with added capability for helicopter and watercraft control for the LHD's amphibious warfare roles. Design work began on the test site in 2008 with outfitting and installation of equipment having commenced in the latter half of last year. 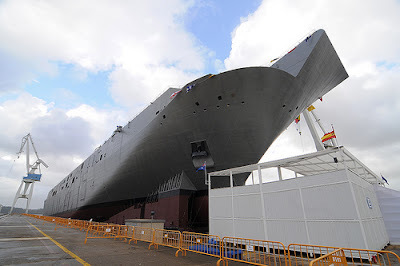 The first ship is expected to arrive in August 2012. The Philippine navy's newest and biggest ship, a former U.S. Coast Guard cutter re-flagged as the BRP Gregorio del Pilar, will pull into Pearl Harbor this morning for a brief port visit before heading on to Guam and the Philippines. ABS-CBN News out of the Philippines said the warship will patrol the South China Sea close to the disputed Spratly Islands, where China has had run-ins with the Philippines and Vietnam. The Spratlys, with oil and natural gas deposits, are claimed in whole or in part by the three countries and others in the region. The Gregorio del Pilar is the 378-foot former U.S. Coast Guard cutter Hamilton, which was commissioned in 1967 and decommissioned on March 28 of this year. 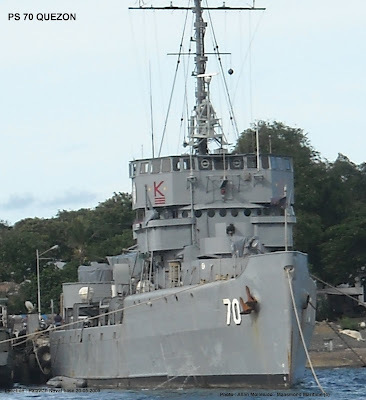 According to Internet reports, the Gregorio del Pilar has a 76 mm cannon, two 25 mm Bushmaster guns and a Close-In Weapons System. The warship is scheduled to arrive at Joint Base Pearl Harbor-Hickam at 7:30 a.m. Deputy Consul General Paul Cortes of the Philippine Consulate in Honolulu; Capt. Jeffrey James, commander of Joint Base-Pearl Harbor-Hickam; and Capt. William Johnson, commanding officer of the cruiser USS Lake Erie, will greet the ship, U.S. Navy officials said. Members of the Filipino community who have base access are welcome to attend the arrival, officials said. During the port visit, Gregorio del Pilar will take on supplies and fuel, and hold a reception hosted by the Philippine Consulate in Honolulu and the Philippine Celebrations Coordinating Committee of Hawaii. Crew members also will visit the USS Arizona Memorial. 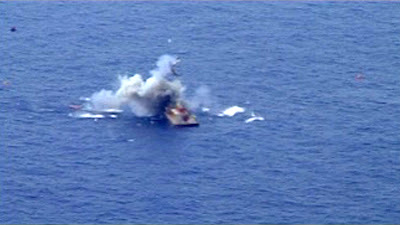 The ship was turned over to the Philippine government on May 13. 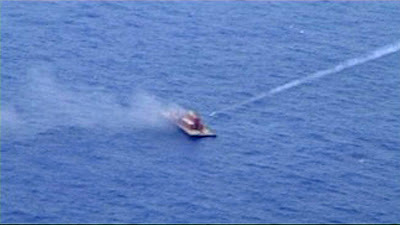 ABS-CBN News said the cutter was acquired from the U.S. for more than $10 million. Commanded by Capt. Alberto A. Cruz, Gregorio Del Pilar left Alameda, Calif., on July 18. 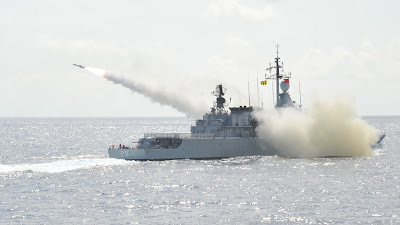 Gregorio del Pilar is the first gas-turbine jet engine-powered vessel in the Philippine navy fleet, U.S. officials said. It has a crew capacity of 180 and a range of 14,000 nautical miles. The U.S. Navy said prior to taking command of the ship, 74 Gregorio del Pilar members underwent two months of training on board the U.S. Coast Guard cutter Boutwell, the sister ship of the Hamilton. 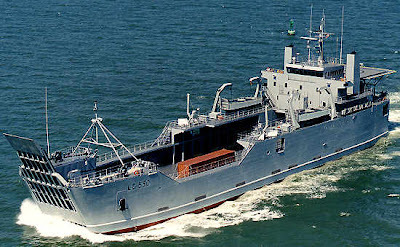 The Boutwell traveled to Colombia, Ecuador and El Salvador, where the ship's mission included the interdiction of drug smugglers. "The success of the training and transition is an indication of the robust Philippine-U.S. partnership and serves as an expression of U.S. commitment to help the Philippines protect its maritime domain," the Navy said. The Philippine navy has acquired other U.S. Coast Guard vessels in the past, including two 82-foot patrol boats in 1999 and 2001. Malang - Empat dari 16 pesawat tempur jenis Super Tucano EMB-314 buatan Brazil direncanakan tiba pada April 2012 untuk melengkapi alat utama sistem persenjataan Indonesia. Kepala Skuadron 21 Lanud Abd Saleh Mayor Pnb James Yanes Singal, Rabu, mengatakan, dari total 16 pesawat yang dipesan Angkatan Udara (AU) Indonesia, empat pesawat di antaranya bisa ditunjukkan kepada masyarakat pada peringatan HUT TNI AU 9 April 2012. "Memang dari awal Kepala Staf Angakatan Udara (KSAU) Marsekal Imam Syufaat berharap pada peringatan HUT TNI AU April 2012 sudah ada empat pesawat yang ikut meramaikan ulang tahun itu," kata Mayor Pnb James saat ditemui di ruang Dinas Operasi Lanud Abdurahman Saleh, Kabupaten Malang, Jawa Timur. 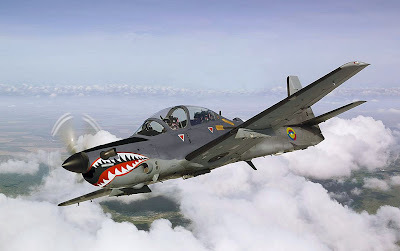 Keberadaan pesawat tempur jenis Super Tucano EMB-314 adalah untuk mengganti pesawat tempur taktis OV-10 FBronco yang saat ini sudah "grounded". James menjelaskan, kedatangan empat pesawat tersebut diketahui setelah tim dari Mabes TNI-AU yang terdiri atas delapan perwira dan tiga anggota penyedia jasa, datang ke Pabrik Pesawat Terbang Embraer Defense System di Brazil, awal Juli lalu. Tim dari Mabes TNI-AU bertugas sebagai "Design Review Meeting" (DRM) atau penentuan akhir sebelum pesawat tersebut dirakit. "Dengan kedatangan tim itu, bisa diartikan pesawat itu segera diproduksi untuk memperkuat kekuatan TNI AU," katanya. Sementara untuk persiapan kedatangan pesawat tersebut, TNI AU menyiapkan 12 pilot untuk mengawaki pesawat latih taktis Super Tucano A-29, dan daftar pilot itu telah diajukan ke Mabes TNI AU guna dilakukan verfikasi kelayakan. "Beberapa ukuran kelayakan telah disertakan, seperti usia pilot minimal 24 hingga 35 tahun serta merupakan lulusan 1997 hingga 2007, termasuk keahlihan berbahasa Inggris," katanya. Sementara itu, pesawat Super Tucano juga memiliki mesin tunggal buatan Empresa Braziliera de Aeronautica, dan memiliki kemampuan menembakkan asap ke darat secara cepat untuk menunjukkan posisi musuh. Selain itu, pesawat itu tidak hanya sebagai pesawat latih, namun juga memiliki kemampuan untuk misi penghancuran. The Pheu Thai-led coalition government is willing to support the plan to buy more than 30 new helicopters of the army, prime minister-designate Yingluck Shinwatra said on Wednesday. Ms Yingluck said the new administration will have to consider details of the plan because weapons purchasing must be made in line with the set priority and the need of the army in order to gain maximum benefit from budget spending. “My government is willing to do anything it can to support the army,” she said. She added that the new defence minister will have to discuss the plan with the army and then forward it to the cabinet meeting for consideration. Ms Yingluck rejected as baseless the reports that Pheu Thai had approached the current Defence Minister Prawit Wongsuwon, inviting him to continue serving the ministerial position. Meanwhile, army chief Prayuth Chan-ocha denied he had taken the opportunity from the crashes of three army helicopters to asked for the new chopper fleet as criticised. Gen Prayuth insisted that the new helicopters purchasing programme has been planned for a long time as the army needs to have modern aircraft and weapons for protecting the country. The army chief refused to give comments about reports that Gen Yuthasak Sasiprapa would be made the new defence minister. “The army is ready to comply with order of superior officer without sticking to any particular individuals. The new government should also take a good care of the army,” he said. The Minister for Defence Materiel Jason Clare announced in Adelaide today that the $8 billion Air Warfare Destroyer project has taken delivery of three main gun mounts of the Air Warfare Destroyers. 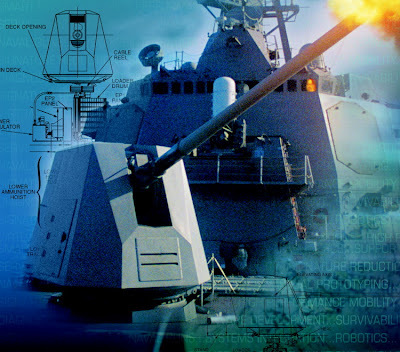 The gun mounts, manufactured by BAE Systems in the United States, are valued at $80 million and will be placed into a controlled storage facility in Adelaide until they are installed on HMA Ships Hobart, Brisbane and Sydney. 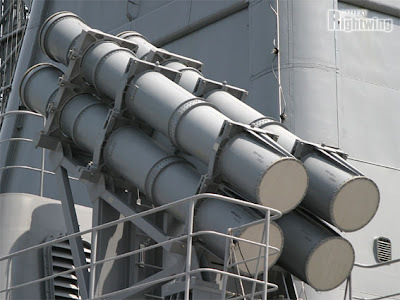 “The guns will be able to hit targets on land, air and at sea. They are capable of firing both Royal Australian Navy standard munitions and future extended range munitions,” Mr Clare said. Similar gun mounts are installed on the Royal Australian Navy’s ANZAC Class frigates, the US Navy’s Arleigh Burke Class destroyers, the Spanish F-100 frigates and on ships within the South Korean, Japanese and Danish navies. More than 1,000 people are currently working on the construction of the ships across three shipyards in Australia; at ASC in South Australia, Forgacs in New South Wales and BAE Systems in Victoria. “This is an important project for the Australian Defence Force. These destroyers will be among the most advanced and capable warships in the world,” Mr Clare said. Kota Kinabalu, – Duli Yang Maha Mulia Sultan Selangor Darul Ehsan Sultan Sharafuddin Idris Shah AlHaj Ibni Almarhum Sultan Salahuddin Abdul Aziz Shah AlHaj yang juga Kepten Yang Dipertua TLDM telah sudi mencemar duli untuk turut sama hadir menyaksikan ujian penembakan misil TLDM di perairan Sabah semalam. Turut sama hadir pada sesi penembakan tersebut ialah Timbalan Panglima Tentera Laut; Laksamana Madya Datuk Mohammed Noordin bin Ali berserta Panglima-panglima TLDM. Dalam penembakan pagi tadi, Kapal Diraja (KD) LEKIR di bawah pemerintahan Komander Azman bin Rabani TLDM telah berjaya melancarkan misil EXOCET MM40 diikuti dengan penembakan misil SEA SKUA oleh helikopter Super Lynx dari Skuadron 501 yang diperintah oleh Komander Ajazi bin Jamaluddin TLDM. 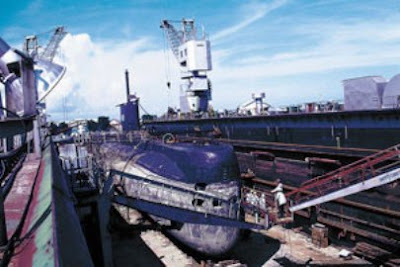 Kedua-dua misil telah berjaya memusnahkan sasaran permukaan yang merupakan sebuah Surface Target Barge. 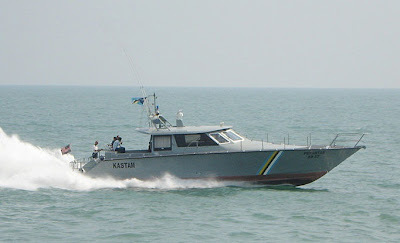 Manakala KD LEKIU di bawah pemerintahan Komander Yusne bin Mokhtar TLDM pula berjaya melancarkan misil SEAWOLF yang tepat mengenai sasaran tunda udara. Kejayaan siri penembakan yang dilaksanakan di perairan Sabah ini telah melakar sejarah yang ekslusif apabila ia disaksikan oleh Kepten Yang Dipertua TLDM sendiri. Objektif penembakan ini adalah untuk menguji kefungsian sistem dan keupayaan misil dalam inventori TLDM di samping meningkatkan kecekapan anggota dalam mengekalkan keupayaan aset TLDM secara berterusan. 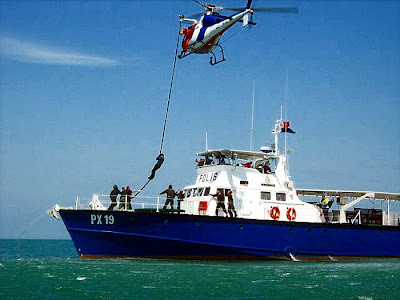 Sebagai langkah dan usaha ke arah penjimatan, ujian penembakan ini telah dilaksanakan berkesinambungan selesai Operational Sea Training Excercise atau OSTEX 2011 yang mengintegrasikan sembilan buah kapal TLDM, dua buah kapal selam dan empat helikopter TLDM dari Markas Armada di Lumut, Markas Wilayah Laut 1 di Kuantan dan Markas Wilayah Laut 2 di Kota Kinabalu yang berlangsung mulai 15 hingga 21 Julai di perairan yang sama. Latihan penembakan kali ini juga mendapat kerjasama dari Tentera Udara Diraja Malaysia (TUDM) yang menugaskan pesawat udaranya sebagai elemen bantuan dalam pembersihan kawasan penembakan dan kawalan udara. Secara keseluruhannya, kejayaan penembakan ini membuktikan bahawa TLDM dan TUDM serta unit-unit yang terlibat sentiasa berada dalam keadaan tahap siaga yang tinggi, terlatih dan mampu melaksanakan tanggungjawab untuk mempertahankan tanah air apabila diperlukan. 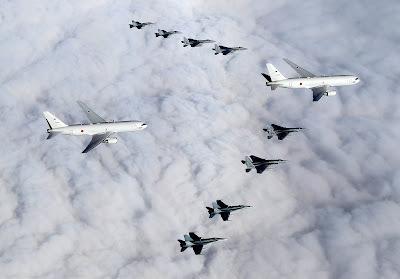 The Royal Australian Air Force (RAAF) has successfully completed bilateral flying operations with the Japan Air Self-Defense Force (JASDF) for the first time. The air combat familiarisation sortie conducted on 14 July during Exercise Red Flag was carried out by RAAF F/A-18 Hornets from No 3 Squadron in NSW, and JASDF F-15 Eagles from No 4th Air Wing. The RAAF aircraft arrived at Misawa Air Force Base yesterday, second only to the United States military to ever have flown into a JASDF base. “This level of high-end engagement offered the important opportunity to build on the strong friendship between Australia and Japan,” Commanding Officer No 3 Squadron, Wing Commander Terry van Haren, said. “Now that we have arrived in Japan, we will hold a cultural and dialogue exchange at Misawa to further develop the strong bonds fostered between the two nations during Red Flag,” Wing Commander van Haren said. During the visit to Misawa, members from RAAF’s No 3, No 36 and No 37 squadrons will donate toys to the JASDF for children affected by the recent tsunami. Australia and Japan signed an Acquisition and Cross-Servicing Agreement in May last year. This week’s visit is the first since the Agreement was signed and reflects the growing strength of Australia’s bilateral partnership with Japan contributing to peace, security and stability in the Asia-Pacific region. 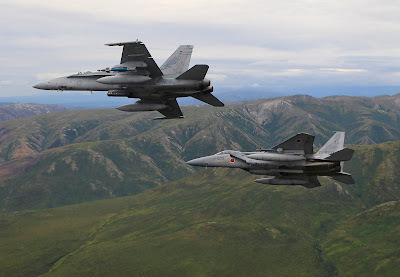 Exercise Red Flag Alaska 11–2 was conducted from US Eielson Air Force Base, between 4 and 22 July. KUALA LUMPUR - 'Taring' Tentera Laut Diraja Malaysia (TLDM) dijangka bertambah tajam mulai tahun depan, kerana dipercayai semua enam kapal ronda generasi baru (NGPV) dari jenis KD Kedah, akan dipasang dengan peluru berpandu anti kapal permukaan. Sumber Pertahanan memberitahu Utusan Malaysia, bajet untuk pembelian peluru berpandu itu akan dimasukkan dalam pusingan kedua Rancangan Malaysia Kesepuluh (RMK-10) bagi Kementerian Pertahanan, yang akan dibentang kepada Kabinet Oktober ini. 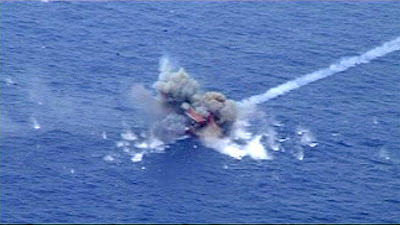 Difahamkan, dua jenis berpandu anti kapal sedang dipertimbangkan untuk dipasang iaitu jenis Exocet 40 Blok II, yang mampu memusnahkan kapal musuh sehingga jarak 70 kilometer (km) dan Naval Strike Missile (NSM), yang mempunyai jarak membunuh sejauh 180 km. Namun, dipercayai TLDM telah memilih peluru berpandu NSM untuk dipasang pada kapal tersebut dan jika diluluskan oleh kerajaan, setiap satu kapal KD Kedah akan dilengkapi dengan lapan peluru berpandu anti kapal dari jenis itu, kerana saiznya lebih kecil berbanding Exocet. "Kita memilih untuk memasang semua kapal ini dengan peluru berpandu anti kapal permukaan terlebih dahulu sebelum mempertimbangkan peluru berpandu pertahanan udara. Jika kita memilih untuk memasang kedua-dua jenis persenjataan ini, kosnya terlalu tinggi. "Sebelum ini semua kapal dari jenis KD Kedah walaupun canggih tetapi hanya dilengkapi dengan meriam utama dan sekunder sahaja kerana konsep pembinaannya adalah 'fitted for but not with'. Jadi, kita fikir sudah sampai masanya kapal ini dilengkapkan dengan peluru berpandu. "Keputusan untuk memasang peluru berpandu ini selaras dengan kehendak TLDM. Memandangkan semua kapal ini dipertanggungjawab untuk meronda perairan negara maka, menjadi keperluan untuk aset ini dibekal dengan peluru berpandu," katanya. Kapal ronda dari kelas KD Kedah adalah lambang kepada usaha berdikari industri pertahanan Malaysia, yang dibina berasaskan kapal Meko A-100, hasil kerjasama antara syarikat pertahanan tempatan, Boustead Naval Shipyard dengan syarikat Jerman. Kapal moden tersebut dibina dengan mengaplikasikan konsep modular, menyebabkan ia boleh ditingkat upaya pada bila-bila masa tanpa perlu mengambil masa yang lama. 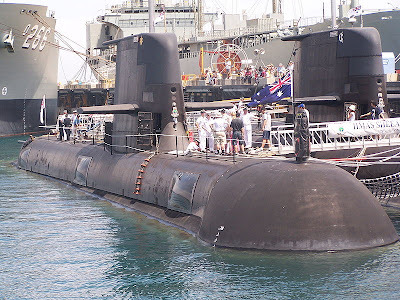 The January 2010 failure of a generator aboard HMAS Farncomb was just the latest in a long history of problems faced by its fleet of 6 Collins Class diesel-electric submarines – which have sometimes been reduced to just 1 operational vessel. That readiness issue presents an immediate financial headache for Australia’s government, and adds a longer-term challenge to the centerpiece of Australia’s future naval force. It present, 2 submarines are in “deep maintenance” and completely unavailable (HMAS Sheean, and Rankin), 1 submarine back is in port facing indeterminate maintenance (HMAS Farncomb), and 1 “limited availability” submarine is fit only for training (HMAS Collins). Of its 2 operational boats, HMAS Waller was in port for major battery repairs as recently as May 2009, and HMAS Dechaineux is just out of dock. There are fears that fixing HMAS Farncomb’s generator problem could require cutting open the pressurized hull. If that’s the case, repair costs would be high, and Farncomb would join 3 other boats in a long “deep maintenance cycle”. HMAS Deschaineux was due back in the water in early 2010, but didn;t re-enter service until May 2010. HMAS Sheean isn’t due back in service until 2011, and HMAS Rankin has no set date yet – it is merely “in queue” behind Sheean. While HMAS Collins has reportedly had its generators given a clean bill of health, investigation of the entire fleet’s generators is underway. If additional problems are discovered, the repair schedules for Deschaineux, Sheean, and Rankin become much less predictable. Collins was launched in 1993, and delivered in 1996. Its successor boats of class were commissioned in 1998 (Farncomb), 1999 (Waller), 2001 (Deschaineux and Sheean), and 2003 (Rankin). 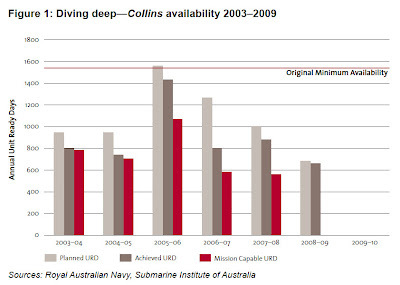 The persistence of serious mechanical issues and very low readiness rates, into 2010 and beyond, raises legitimate questions concerning the long-term risks of Australia’s 12-submarine plan for its future navy. Trilogy, a world class supplier of voice communications technologies for the defence sector announced today that it has been selected to provide a sophisticated voice communications capability to the Malaysian Armed Forces. The prime contractor, Pembekal Alaf Baru SDN BHD, has won the contract to integrate existing and new radio assets across multiple sites within the Malaysian territory. It provides a communications system that is able to extend the range and resilience of radio traffic whilst offering the potential for multi-level and cross domain security features. Mercury ES will allow the extension of radio communications over IP ensuring that neither range nor geography disrupts those communications, banishing any possibility of a black spot. 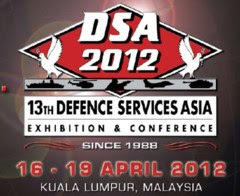 This guarantee of service allows the Malaysian Armed Forces to optimise its network enabled operations. 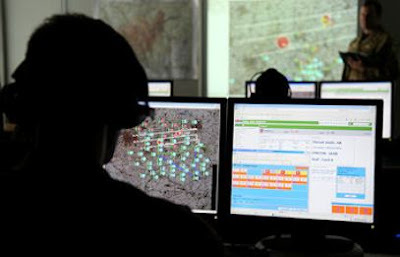 As the various participants are able to freely share and assess information in real time, they are able to capitalise on their situational awareness to increase mission effectiveness. Mercury ES, a COTS product, is already successfully deployed in a number of countries around the world and completed rigorous assessments during the competition phase of the Malaysian Armed Forces contract. Unprecedented in terms of quality, sophistication and speed, Mercury ES makes information sharing and decision making across organisations easier than ever. Mercury ES operates on LANs/WANs over terrestrial or satellite-based IP networks. 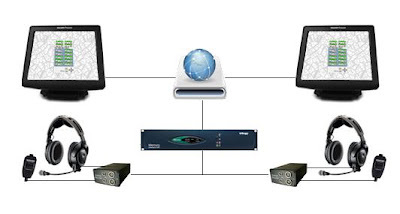 Users can participate in multiple communications simultaneously - including direct, conference and monitor-only. In addition, radios, telephones and other technologies can be linked to the system to provide users with a unified communications control panel. As a key element of the contract Trilogy will provide training and support of the communications system. Trilogy is looking forward to working closely with its partner in Malaysia, PAB, on the implementation of this project, it’s through life support and future sales of mission critical Mercury ES systems to other military and governmental organisations in Malaysia. BELITUNG, KOMPAS.com — TNI AU akan menempatkan satu skuadron pesawat tanpa awak di Lapangan Udara TNI AU Supadio, Pontianak, Kalimantan Barat. Skuadron itu akan direncanakan minimal berkekuatan enam pesawat tanpa awak. Panglima Komando Operasi I TNI AU Marsekal Muda Sunaryo mengatakan, saat ini fasilitas di Supadio sedang disiapkan agar bisa dijadikan markas pesawat tanpa awak. "Untuk pelatihan personelnya masih dikaji kapan akan mulai dilakukan," ujarnya disela latihan TNI AU dengan sandi Operasi Jalak Sakti 2011 di Belitung, Selasa (26/7/2011). Skuadron itu rencananya akan diperkuat minimal enam pesawat tanpa awak. Skuadron itu akan menjadi kesatuan pesawat tanpa awak milik Indonesia. "Sedang dijajaki pengadaan (pesawat) buatan Afrika Selatan," ujarnya. Sunaryo juga mengungkapkan, jet tempur buatan Korea Selatan akan ditempatkan di Medan, Sumatera Utara. Penempatan itu rencananya akan mulai dilakukan tahun 2012. "Di Medan nanti satu skuadron," ujarnya. Sementara itu, Komandan Wing I Lapangan Udara Halim Perdana Kusumah Kolonel Penerbang Tribowo Budi mengatakan, jet sejenis akan ditempatkan juga di Manado. Waktu penempatan juga diperkirakan tahun depan. "Konsep kerja samanya adalah transfer teknologi antara Korea Selatan dan Indonesia. Korea Selatan dan Indonesia akan membangun bersama jet tempur canggih," ujarnya. Dua lapangan udara itu paling dekat dengan wilayah perbatasan yang ramai dilewati pihak asing. Lanud Medan berdekatan dengan Selat Malaka. Sementara itu, Lanud Manado mengawasi kawasan timur Indonesia. "Sedapat mungkin alutsista (alat utama sistem persenjataan) ini dimaksimalkan untuk menjaga wilayah," ujar Tribowo. Pengganti Sunaryo mengatakan, pengadaan jet tempur buatan Korea Selatan itu untuk mengganti armada saat ini. Beberapa armada, seperti Hawk buatan Inggris dan F5 buatan Amerika Serikat, sudah tua dan harus diganti. "Alusista sedang dimodernisasi dengan alat yang lebih canggih dan variatif," tuturnya. Selain dengan Korea Selatan, Indonesia juga menjajaki pembelian jet tempur dengan Brasil dan Rusia. Selain itu, Indonesia mendorong perusahaan dalam negeri untuk memproduksi alutsista. "Hal itu kewenangan mabes," ujarnya. Minister for Defence Materiel Jason Clare today announced that Defence has signed a contract worth $25 million with Thales Australia to deliver nine additional vehicle training simulators for Australian Army crews operating the Australian Light Armoured Vehicle (ASLAV). The Crew Procedural Trainer simulator provides troops who operate the ASLAV with realistic training across a range of environments, without the need to incur the full costs of ASLAV operations. “These simulators are used by ASLAV crews to refine their procedures before they deploy on operations,” Mr Clare said. The simulators will be assembled at the company’s facility in Rydalmere, NSW, before being delivered to Army units throughout 2013. The nine additional simulators will take the total number ordered by Defence to 18. Philippine Navy will again test its capability to conduct amphibious landing operations as force provider of the Armed of the Philippines that can perform mandated tasks utilizing its forces through sea, land and air. 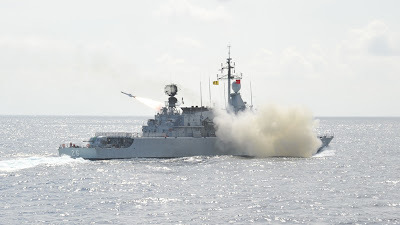 This year’s Exercise PAGSISIKAP 2011 will commence on 19 until 23 of July 2011 in Manila Bay and Marine Base Gregorio Lim (MBGL) in Ternate, Cavite. Two (2) Philippine Navy ships will be utilizes; the BRP Bacolod City (LC 551) and BRP Quezon (PS70) with the Naval Special Operations Group (NAVSOG) and the Naval Air Group (NAG) of the Philippine Fleet that will comprise the sea and air components respectively. The 6th Marine Battalion of the Philippine Marine Corps which is capable in special operations warfare will compose the land component. Naval reservists will also be utilized as force multiplier in this exercise. LTCOL SAMUEL T MONGCAL PN(M)(GSC), Exercise Director PAGSISIKAP 2011 said that Amphibious EXERCISE PAGSISIKAP 2011 is being conducted in order to test and validate existing doctrine of Fleet-Marine Concept of Operations focusing on Amphibious Landing Operations and further improve and enhance interoperability between Fleet and Marine units. Series of ships and ground training/evolutions will be conducted in this exercise such as Refresher Training (lectures and drills) on amphibious planning embarkation, rehearsals, movement and assault during the Pre-Command Post Exercise. 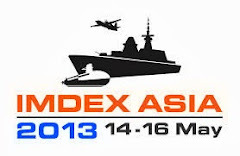 The Command Post Exercise (CPX) will involve Fleet-Marine Planning Process (FMPP), sea control and maneuver, Communications, Intelligence Surveillance and Reconnaissance (CISR) and Maritime Interdiction aboard ships. Also includes Forward Sustainment and Sea-basing and Sustains Operations Ashore that will culminate on the actual conduct of Boat Raid and Amphibious Landing Operations at Marine Base Gregorio Lim (MBGL), Ternate, Cavite on the last day of the exercise. A total of 95 Officers and 556 Enlisted Personnel composed of Sailors and Marines will participate in this exercise. 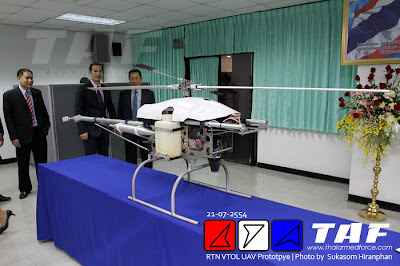 Once a week ago, Navy Defence Institute of Technology and Kasama helicopter Ltd. signed a joint research project into the vertical unmanned aircraft. Under 20 million in research funding builds on the research of unmanned aircraft into the surface of the Navy to develop and prepare to enter the production line. Unmanned research aircraft up and down as the Navy's research program to build unmanned aircraft up and down according to the operational needs of users in the Navy. 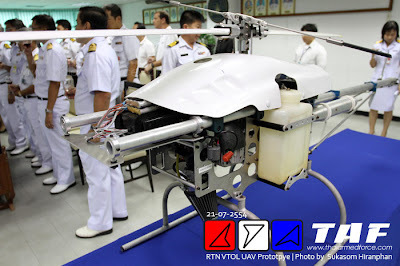 The Navy has partnered with two private companies, is free of all restrictions on our Company, and Kasama helicopter research and prototyping as a prototype unmanned aircraft up and down the straight. This makes both the Navy and private companies and has cooperated with the Institute of Defense to continue research to develop the aircraft systems, improve the performance of the machine actually works, including preparations to open a production line to produce the next entry. The shape is different from that seen prototype aircraft, which initially will be produced. The first of two aircraft which are expected to take approximately two years. THE Gillard government has been accused of interfering in a Defence tender process to buy the next generation of army trucks, pushing a generous portion of the multibillion-dollar contract to the Victorian-built Bushmaster. 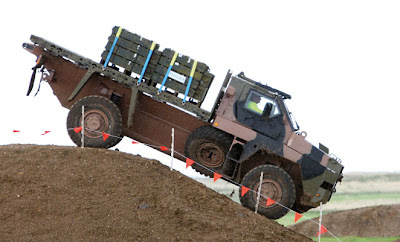 Defence and industry insiders have told The Saturday Age the government has tried to circumvent recommendations from the Defence Materiel Organisation, which favoured a cheaper armoured truck made by German company Rheinmetall MAN. It beat both Mercedes-Benz and the modified Bushmaster Ute, which is made in Bendigo by French company Thales, in the Defence tender. The Bushmaster Ute not only came last in trials, but costs up to three times as much as its rivals. 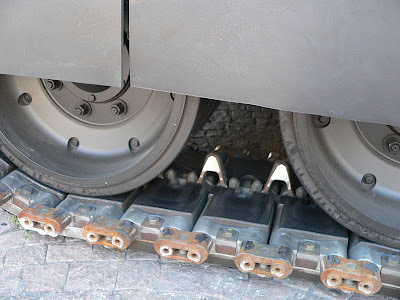 It is more expensive to service and rolled twice in initial testing due to a high centre of gravity. Another insider said: ''The government wanted to keep Bendigo open and it would close if we didn't give them some work.'' They said the government was trying to influence the final departmental decision, worth as much as $1.7 billion. While the DMO recommended Rheinmetall MAN, the government has yet to make a decision on the tender. The department denied being asked to include Thales as a successful tenderer. It said the final decision would rest on ''the needs of our soldiers and best value for money''. 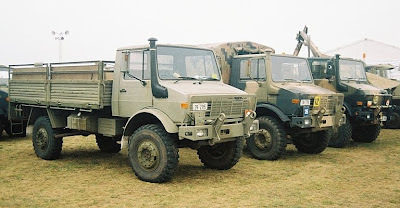 The delayed project for 2700 medium and heavyweight trucks, some of which could be used in Afghanistan, includes 1500 vehicles with substantial armoured protection. Thales has bid to supply 900 of its new Bushmaster Utes - worth more than $500 million - to replace the army's ageing fleet of Unimog trucks. Privately, a number of parties have raised concerns about political interference in the tender. In March, Mercedes-Benz Australian president Hans Tempel wrote to Defence Minister Stephen Smith to express concerns about ''the overall process of selecting a final tenderer … and whether undisclosed factors will play a role''. The letter, which has been obtained by The Saturday Age, was written after Labor's Bendigo MP Steve Gibbons stated publicly that the government could reverse the DMO's final decision. The MP told the ABC that while the DMO might ''overlook Bushmaster, we may be able to overturn that … because ultimately it will be a government decision''. Mr Gibbons has been a vocal campaigner for Bushmaster, which has cut 100 jobs in his constituency in the past year. In his reply to Mr Tempel, Mr Smith warned Mercedes-Benz ''a letter has recently been sent to all tenderers … reminding them of their obligations regarding public announcements and communications''. The department has reminded all three tenderers of their obligation not to speak to journalists. The Saturday Age believes there are further concerns the government intervened in a separate contract awarded to Thales in May, when 101 Bushmaster troop carriers were purchased for $130 million, despite the army needing less than half as many to replace damaged vehicles. That contract will keep the Bendigo production line open for at least another year. Sources say the army originally requested 31 vehicles, but Defence increased its request to 61. The final purchase of 101 vehicles is seen by insiders as excessive, and they claim there are dozens of Bushmasters sitting unused in storage. The department says ''there are no unused [deployable] Bushmasters in storage''. However, aerial pictures taken last month show 89 Bushmasters sitting on Defence land in Brisbane (and there were 61 pictured there last year). The department makes a recommendation based on the technical merits of each manufacturer, but before a formal submission is made it must consider what is known as ''Whole of Commonwealth requirements'' for army vehicles. Defence and contractor sources say this is ''industry policy being run out of Defence''. ''What annoys me is the man on the ground will miss out [because] the government is directly intervening,'' said a source involved with testing the trucks. The new Bushmaster utility had initial testing problems, suffering from potentially fatal rollovers and unacceptable vibration in the driver's cabin. Some sources say these issues are still outstanding, while others insist they were fixed. One source said that while all three vehicles had minor weaknesses, they met the contract requirements and all were better than the current fleet in Afghanistan. 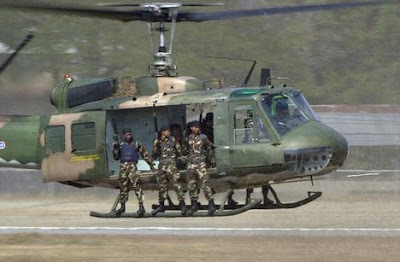 The remaining 20 Bell 212 helicopters of the army have been ordered grounded for a major examination of their conditions. 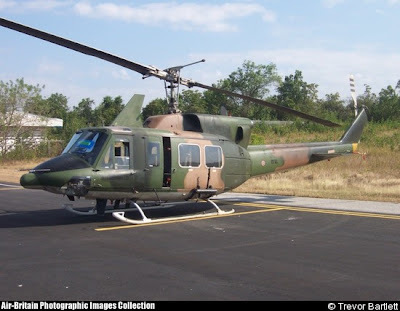 Maj-Gen Pitthaya Krachangwong, commander of the Army Aviation Centre, said use of the remaining 20 Bell 212 helicopters still in commission has been temporary suspended for checks of engines and other parts. Two Bell 212 helicopters crashed on July 16 and today, one inside the Kaeng Krachan National Park in a poor weather conditition and the other today near the national park area following an engine trouble. The aviation centre will organise activities and religious rites to boost the morale of its staff, Maj-Gen Pitthaya said. 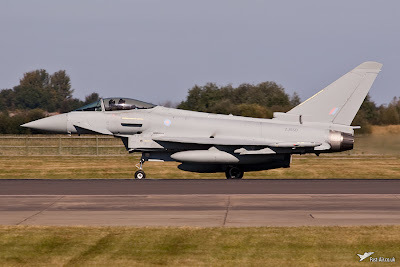 KOTA TINGGI - Kerajaan sedang mempertimbangkan pesawat tempur pelbagai guna (MRCA) Eurofighter Typhoon bagi menggantikan sepenuhnya pesawat pejuang MiG-29 Tentera Udara Diraja Malaysia (TUDM). Menteri Pertahanan, Datuk Seri Dr. Ahmad Zahid Hamidi berkata, kementeriannya sedang membuat penilaian terhadap jet pejuang tersebut yang bernilai RM3 bilion setiap satu termasuk kemampuannya. "Memang diakui Eurofighter Typhoon sebuah pesawat tempur yang baik, namun harganya yang mahal membuatkan kita perlu membuat penilaian secara terperinci. Ia turut bergantung pada kemampuan kewangan negara apatah lagi ketika pembangunan negara harus diutamakan," katanya. Beliau berkata demikian kepada pemberita selepas majlis penutup Karnival Jom Masuk UMNO anjuran Biro Keahlian dan Daftar Pemilih UMNO Tenggara di Econsave di sini hari ini. Turut hadir ialah Timbalan Ketua UMNO Bahagian Tenggara, Datuk Dr. Adham Baba; Ahli Dewan Undangan Negeri (ADUN) Panti, Datuk Baderi Dasuki dan Pengerusi Biro Keahlian dan Daftar Pemilih UMNO Bahagian Tenggara, Suhaimi Khalid. Tambah Ahmad Zahid, cadangan tersebut juga tertakluk kepada tawaran timbal balik yang diberikan oleh syarikat pengeluar seperti pemindahan teknologi dan tempoh bayaran yang panjang. Katanya, kerajaan turut melihat pesawat MRCA lain termasuk Sukhoi SU-35, FA-18 Super Hornet dan JAS Gripen. Diminta mengulas kenyataan negatif segelintir penulis blog propembangkang mengenai pembelian jet pejuang tersebut, beliau berkata, ia bertujuan merendah-rendahkan Angkatan Tentera Malaysia (ATM) dan menafikan profesionalisme TUDM. Katanya, masyarakat seharusnya bijak menilai setiap tulisan yang diterbitkan di dalam blog pembangkang dan tidak menerima bulat-bulat kenyataan tersebut. "Mereka mungkin berpuas hati kalau negara tidak mempunyai aset pertahanan yang kukuh dan apabila sesuatu berlaku, mereka akan menuduh bermacam-macam pula terhadap polis, tentera dan penguat kuasa yang lain," katanya. Madiun (ANTARA News) - PT Industri Kereta Api (PT INKA) memiliki peluang yang cukup luas untuk menopang industri pertahanan negara, yang selama ini masih dilakukan oleh PT Pindad. Hal ini disampaikan oleh Menteri Koordinator Politik Hukum dan Keamanan (Menko Polhukam) Djoko Suyanto, dalam kunjungan kerjanya bersama tiga menteri Kabinet Indonesia Bersatu II lainnya dan Panglima TNI ke PT INKA di Kota Madiun, Jawa Timur, Minggu, sore. "Selama ini PT INKA memang fokus dalam hal transportasi perkeretaapian. Namun, mereka memiliki kemampuan yang suatu saat bisa ditransfer untuk menopang dan memperluas industri pertahanan negara. Apabila nanti Menteri Pertahanan menganggap hal tersebut perlu dilakukan, maka peluang itu sangat ada dan sangat mungkin," ujar Menko Polhukam Djoko Suyanto, kepada wartawan. Menurut dia, PT INKA memiliki elemen-elemen lain yang bisa dibangkitkan untuk menopang industri pertahanan Tanah Air, disamping fungsi utamanya mengembangkan produk transportasi sesuai perkembangan kebutuhan ekonomi masyarakat. Kesinergian inilah, yang membuat pihaknya, Menhan, dan menteri terkait lainnya ada di INKA saat ini. Djoko memandang PT INKA merupakan industri strategis milik negara yang memiliki peran penting dalam menopang kebutuhan utama dalam negeri, baik untuk pemenuhan kebutuhan mobilitas ekonomi dan transportasi massal. Apalagi saat ini, INKA memiliki kemampuan lainnya untuk mendukung bidang pertahanan. Keberadaannya sejajar dengan PT Pindad, PT Dirgantara Indonesia, PT PAL Indonesia, dan industri strategis lainnya milik negara. "Hal inilah juga, mengapa Menteri Bappenas ikut melakukan kunjungan kerja ke PT INKA. Karena hasil kunjungannya ini berkaitan langsung dengan perencanaan-perencanaan jangka menegah dan panjang yang harus ditopang oleh industri-industri strategis milik negara, seperti INKA," terang Djoko Suyanto. Dengan demikian, lanjutnya, kebijakan pemerintah yang menekankan agar prioritas kebutuhan dalam negeri ditopang oleh industri strategis setempat, dapat terwujud. Sementara, Direktur Utama PT INKA Roos Diatmoko, menyambut baik wacana Menko Polhukam dan menteri lainnya. Menurut dia, dengan dasar kompetensi industri transportasi, PT INKA juga dapat mendukung kemandirian dalam industri pertahanan dan keamanan negara. "INKA memiliki bagian penting dalam industri stragtegis negara. Disamping tugas pokoknya sebagai industri strategis di bidang perkeretaapian, INKA juga dapat menunjang kemajuan sistem logistik nasional, sistem transportasi perkotaan, kereta, dan darat, serta sebagai industri penunjang untuk industri pertahanan," kata Roos Diatmoko. Menurut Roos, INKA akan mencoba membuat beberapa produk penunjang kendaraan militer seperti "rolling chases" (perangkat roda penggerak) untuk kendaraan taktis seperti tank, "landing craft tank", dan kendaran penarik beberapa artileri. "Tentunya yang tidak dibuat BUMN bidang pertahanan lainnya seperti PT PAL maupun PT Pindad," ucap Roos Diatmoko berkelakar. Selain Menko Polhukam Djoko Suyanto, tiga menteri Kabinet Indonesia Bersatu II yang melakukan kunjungan kerja ke PT INKA adalah, Menteri Pertahan (Menhan) Purnomo Yusgiantoro, Menteri Riset dan Teknologi (Menristek) Suharna Surapranata, dan Menteri Perencanaan Pembangunan Nasional (PPN)/Kepala Bappenas Armida Alisjahbana. Keempatnya juga didampingi oleh Panglima TNI Laksamana TNI Agus Suhartono.